Combination skin has specific cleansing needs. To look and feel its best, it needs the right clean and specific care. Our daily gel exfoliator targets T-Zone to deeply cleanse away oil and impurities. The formula infused with grapefruit and pomegranate softens dry areas to balance skin. In 1 use, excess oil is removed and skin is smoothed. After 1 week, skin’s texture is refined and complexion balanced. Dampen face and hands. Squeeze gel exfoliator into hands and rub together. Apply to face and massage gently, avoiding contact with eyes. Rinse thoroughly. For optimal results, alternate use with Clean + Purifying Foam Cleanser. For advanced care, incorporate an oil-free moisturizer such as Moisture Rescue Oil-Free, or BB Cream Oil-Free for Combination/Oily skin, into your routine. Aqua/Water, Coco-Betaine, ButyleneGlycol, Sodium Laureth Sulfate, Disodium Cocoamphodiacetate, Polyethylene, Sodium Chloride, Acrylates/C10-30 Alkyl Acrylate Crosspolymer, Ascorbyl Glucoside, Benzyl Alcohol, Benzyl Salicylate, Capryloyl Salicylic Acid, CI 15510/Orange 4, CI 17200/Red 33, Citronellol, Citrus Grandis Extract/Grapefruit Fruit Extract, Eucalyptus Globulus Extract/Eucalyptus Globulus Leaf Extract, Glycerin, Limonene, Linalool, Polyquaternium-47, Propylene Glycol, Punica Granatum Extract, Salicylic Acid, Sodium Benzoate, Sodium Hydroxide, Tetrasodium EDTA, Xanthan Gum, Zinc Gluconate, Parfum/Fragrance. Rated 5 out of 5 by Mairene79 from Bring back Combination Skin Balancing exfoliator Im really upset you took this wonderful product out that was specific to me skin type and instead decided to make generalized products of dry norm or oily norm no Combination skin targeted. Bring the cleanser back and add a line specifically to combo skin type . Rated 5 out of 5 by Juliano from Please - Bring this back! Before I discovered this product, I used to suffer from hormonal and cystic acne. I tried various other products that either made my skin go dry or oil up - even if it was recommended for my skin type. This product had cleared up my acne by a significant amount! I've tried your newly released cleanser and it is somewhat harsh on my skin and cystic bumps. Please, bring this product back!! Garnier is such an amazing brand. Rated 5 out of 5 by Tebs from Heart breaking! This was one of my holy grail products!!! So sad to see its been discontinued! 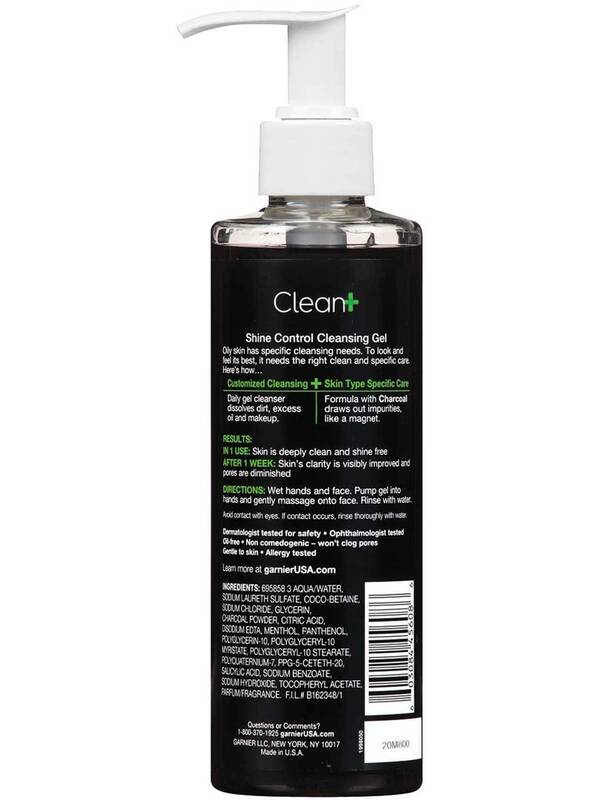 Rated 2 out of 5 by Giabobia from Cleansing but drying I've been using this for a while only because it cleanses my skin fairly well, and removes the day's oil and makeup off of my face. A huge downside for me, though, is that the exfoliation part of the face wash does not only extremely dry my face out, it also does not take the majority of dead skin off of my face and basically makes my skin look very dry and peeling, especially on my nose and forehead, where a lot of my acne arises. Definitely not for a day-to-day use for someone with my skin type. Rated 5 out of 5 by KTenster from Bring this product back! I have been a loyal user of this product for years and am so disappointed that it has been discontinued! It was great for my sensitive skin and I never had breakouts. I recently purchased the argan replacement product and do not enjoy it. If I'm not mistaken, the suds are indicative of some ingredients that are not as gentle to skin. Rated 5 out of 5 by JANETDG from Come backkk my favorite cleansing product Pleaseeee need the product, come back . Soft product, good for my routine skin type . 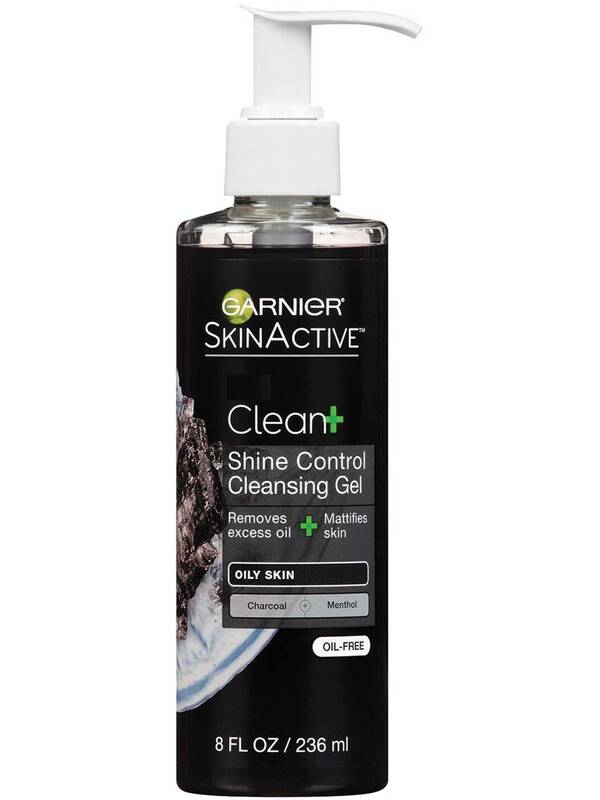 Rated 5 out of 5 by Barbs from Please bring this product back! I absolutely adore this product. It was the only facial wash that has ever worked well for me. Extremely disappointing to find out it is no longer available. It looks like the Garnier For Combination Skin Purifying Foam Cleanser is also no longer available. I tried the replacement, Clearly Brighter Argan Nut Gentle Exfoliating Cleanser and do not like it at all.